Oh man! Mind Blown! Universes Collapsing! 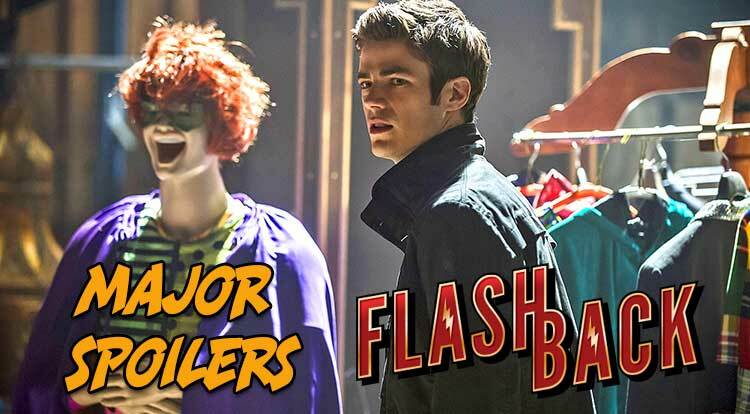 The latest episode of The Flash, of course! 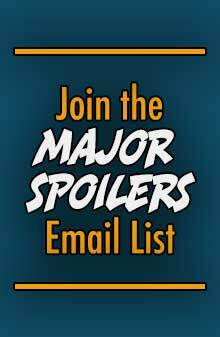 Major Spoilers and your Easter Eggs, after the jump! A copy-cat-killer who goes by the name The Trickster starts setting off bombs in Central City. In order to stop the villain, Barry and Joe meet with the original Trickster, a criminal mastermind named James Jesse, who has been imprisoned for 20 years. Things quickly go from bad to worse when the Tricksters unite and take Henry prisoner. Meanwhile, Iris asks Eddie for help with a case, and flashbacks show how Harrison Wells came up with the idea for the particle accelerator. Flash has been able to vibrate through things for a long time, but character was de-powered during the later days of Barry Allen and the early days of Wally West. It wasn’t until Mark Waid took over the writing duties on the Flash that vibrating through things became a big deal again. By the way, Waid is also credited with introducing the Speed Force into the Flash mythos. “Welcome to boom day! 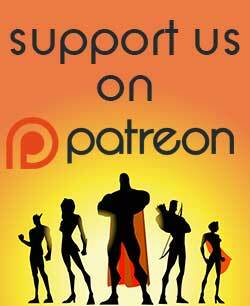 ” Mark Waid served as the Editor-in-Chief, and Chief Creative Officer of BOOM! Studios for several years before moving on to run his own Thrillbent comics. This week featured not one, but TWO Tricksters! 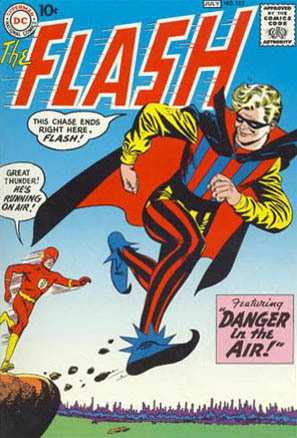 The Trickster is one of Flash’s oldest foes, first appearing in Flash #113 in June of 1960. As the name implies, the modus operandi is to use gimmicks or gags with deadly intent. In his origin story, Giovanni Giuseppe was a circus acrobat who created shoes that allowed him to walk on air so he could compete with his trapeze show his family was in. Sadly, Giovanni was not a very good acrobat and used his tricks to become a criminal, taking the name James Jesse as a twisted version of the outlaw Jesse James. Like many of Barry Allen’s Rogues Gallery, after The Flash made “The Ultimate Sacrifice” in Crisis on Infinite Earths, James decided to go straight, by becoming a special effects pro in Hollywood. 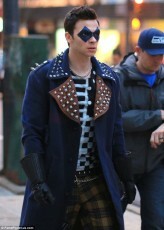 There he worked with Dan Cassidy and even attempted to steal the Blue Devil suit he was working on. Later, when Dan Cassidy did become the Blue Devil, the two remained friends as the Blue Devil attempted to help reform the former villain. It wasn’t until Underworld Unleashed, when the Trickster had to resort to some of his old pranks as he literally beat the Devil, that he made the firm commitment to walk on the side of the Angels as he knew he never wanted to go back to Hell. In television, the Trickster has had three significant roles; the CBS series from the ’90s, Justice League Unlimited, and now The Flash. In each instance, the Trickster has been played by Mark Hamill. Hamill has done a great deal of voice acting over the years, and has had the opportunity to play more than one DC baddie. You may know Hamill best as The Joker from Batman: The Animated Series. If you listen closely, it seemed that many times through this episode that The Joker was dying to fully pop out and take over the character. The actor also voiced Scarface in the Batman: Arkham Asylum game from 2009, Tony Zucco in The Batman animated series, and Solomon Grundy in the brilliant episode of Justice League “The Terror Beyond: Part II”. Hamill also played The Spectre in several episodes of Batman: The Brave and the Bold, and Threshold in the Gen13 movie, which I have always wanted to see, but never tracked down. In case you think Hamill only loves DC Comic characters, he has voiced Arnim Zola and Nightmare on the Ultimate Spider-Man animated series, and voiced Hobgoblin on the Spider-man TV series from the ’90s among others. Hamill has a huge voice acting career, and when you look at his IMDB page, you’ll be stunned at how many times he’s appeared in popular animated shows, video games, and more. 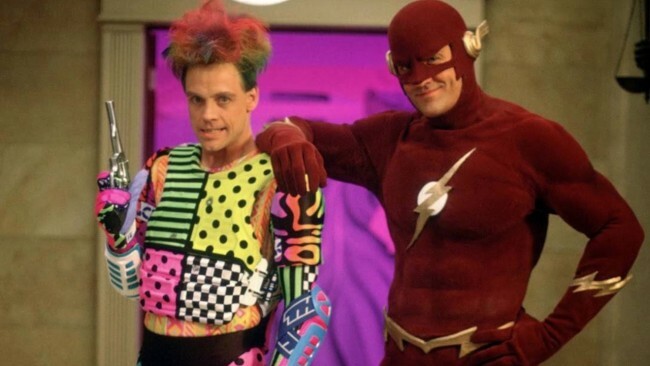 In this episode, The Trickster was an active villain 20 years ago, and doing that maths that lands us in 1995, several years AFTER the first Flash television series ended (1990-1991). On the plus side, when Detective West and Barry were looking through the Trickster’s lair, the original costume is seen being worn by the mannequin. James Jesse Trickster was created by John Broome and Carmine Infantino. James Jesse’s son is revealed to be Trickster #2 in this episode. He goes by the name Axel Walker, who is indeed the second villain to go by the name Trickster. Axel Walker first appeared in Flash #183 in April 2002, and was created by Geoff Johns and Scott Kolins. Just like the events in this week’s episode, Walker broke into Jesse’s lair and stole all his gadgets and gizmos and assumed the mantle of The Trickster. 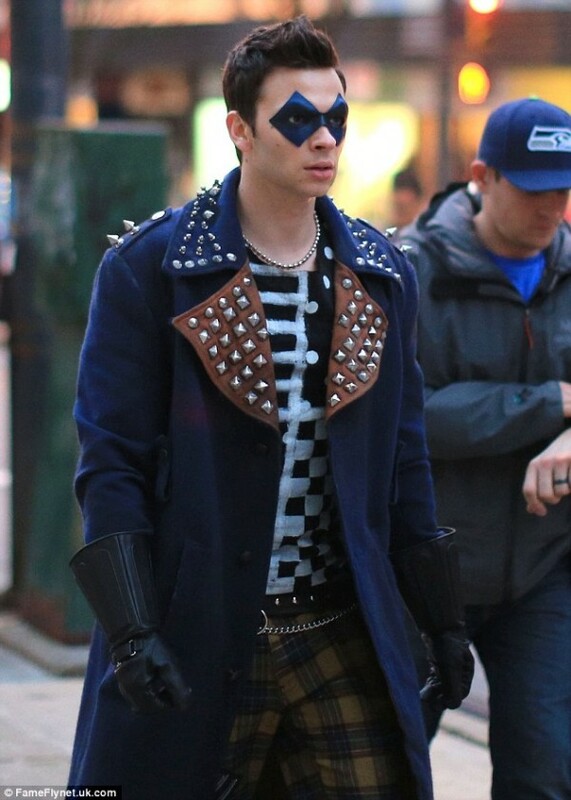 Walker was invited by Captain Cold to join the Rogues Gallery, and was a member until the original Trickster defeated him in a big brawl. He was told to never use the name Trickster again following that event. Walker did appear in Helmet of Fate: Detective Chimp in March, 2007, where he was revealed to be the big bad behind the mystery of murdered college students. That wouldn’t be the last murder Axel committed, as he participated in the death of Inertia as the Trickster during the Final Crisis: Rogues’ Revenge mini-series. While we haven’t seen Inertia in the television series (yet), it is important to note that Inertia is Thaddeus Thawne, a clone of Bart Allen, and a relative of Eobard Thawne. WOW! If Cicso Ramone’s death didn’t shake you up, the reveal of how Eobard Thawne became Harrison Wells was gruesome to say the least. On the one hand, the real Harrison Wells died a long time ago, so all the bad stuff going on right now really isn’t his fault. On the other hand, the Flash Friends (hey, it’s the best I could come up with on short notice) are starting to put the clues together, but the big reveal to them of how this was done is going to be really interesting to see play out. I guess there goes my Abrakadabra theory… for now. 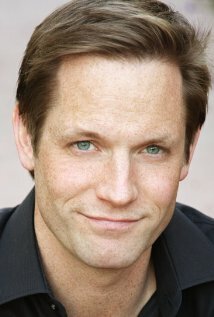 Matt Letscher plays Eobard Thawne, and right now, this is the only episode this season in which we will see the real face of The Reverse Flash. By the end of the episode, Barry has put two and two together and figured out that Wells is the Reverse Flash. He comes to that conclusion because of the way Wells/Thawne guided Barry through his new powers to vibrate through materials. It was a very Zen ways of accessing the Speed Force, wasn’t it? By the way, the Zen Master of Speed? That would be Max Mercury. From 1990-1991 CBS ran the first Flash television series, which had this author giddy all the time. The Flash was played by John Wesley Shipp, who plays Dr. Henry Allen in this series. He was aided by Dr. Tina McGee (played by Amanda Pays), who came up with his cool costume while working at STAR Labs. Amanda Pays reprises her role as Dr. Tina McGee in the current series, but she works at the rival corporation Mercury Labs. As mentioned above, Mark Hamill played the Trickster in the original series, but there is one more character from the original series that appeared this week. 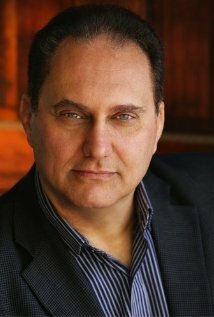 Actor Vito D’Ambrosia reprises his role as Tony Bellows this week. In the original series, Mayor Bellows was simply officer Tony Bellows working for the Central City PD. Looks like the character has come a long way in the last 20 years. I hope we get to see more of Mayor Bellows in the future as this little known reprisal was a nice one. Now we just need Alex Desert to reprise his role as Julio Mendez and things will be right with the world. There were a few more name drops this week that may or may not be familiar to comic fans. Iron Heights Penitentiary, located just outside of Keystone City is run by Warden Gegory Wolfe. In the comics, Wolfe has powers to constrict muscles, which he uses to abuse and control the metahuman prisoners. Warden Wolfe first appeared in Flash: Iron Heights (August 2001) written by Geoff Johns. While Joe West and Barry look at the clues on the board, one of the headlines clearly has Cleveland, Ohio on it. Though Superman was born on the planet Krypton and rocketed to Smallville, Kansas to be raised by adoptive parents before becoming Superman, the protector of Metropolis, Superman was created by 18 year old Jerry Siegel in 1932 in… you guessed it, Cleveland, Ohio. 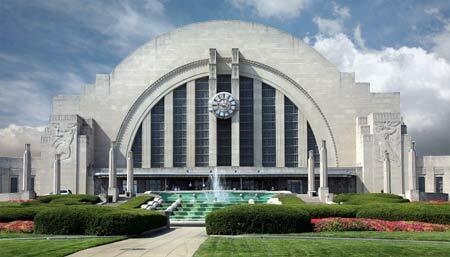 Ohio also happens to be the home of the Queen City’s Union Terminal, the real life inspiration for Super Friends’ Hall of Justice. It is located in Cincinnati. Both Tricksters and the staff at STAR Labs were really specific about saying Trimethylmercury again and again, but no such substance exists. There is a Dimethylmercury which is a neurotoxin, but nothing Trimethyl could be found in my Interwebs searching. If it did exist it would be ((CH3)3Hg) Sorry about that kids, I have failed you (sad face). In recent years, there has been increasing recognition that methylmercury affects fish and wildlife health, both in acutely polluted ecosystems and ecosystems with modest methylmercury levels. Fish… fish, you say? Who would be most interested in poisoning fish? Yeah, I’m still stretching on this one. There were a lot of numbers to pay attention to this week! Barry needs to run 600 MPH in this episode of the bus with Sandra Bullock will explode. The 747 Boeing jet has a cruising speed of 570 MPH. Eobard Thawne tells Dr. Wells that he needs to speed up particle accelerator accident to create the Flash sooner, so he can get Back to the Future! Interestingly, 2020 is five years from now. DC Comics just wrapped up their Futures End event that takes place five years in the future. I have no idea what Flash is doing in the future, as I haven’t had the time to read that series… yet. Down on the containment level of STAR LABS, a wall sign clearly has the numbers 1217-79. In December 1979, Flash #280 was released. 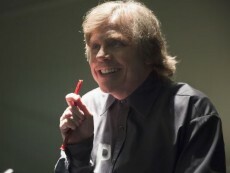 The Flash must save Melanie from Clive Yorkin in a showdown fight, at the same time that Frank Curtis turns up evidence indicating Yorkin was not Iris Allen’s murderer. Yeah… probably no connection to anything that happened in this episodes except for the title of the issue “THE WRONG MAN”. Yeah, seems like we’ve been being rather hard on Harrison Wells since the show began, when in reality, that crazy body switch that took place has had Eobard Thawne assuming the identity of Wells for the last 15 years. There were a number of little things that may or may not have caught during this week’s episode. Following last week’s discussion of Plastic Man’s color scheme appearing on the decor of Central City, it is interesting to note that the red/yellow/black color appeared on the walls and the ceiling of the containment level in STAR Labs. The former Harrison Wells and his wife Tess Morgan are big fans of Jazz as The Dave Brubeck Quartet’s Take Fave is heard playing on the radio just before the deadly car accident. The cut appeared on the 1959 album Time Out, and is a must have album for your collection. Take Five was recorded on July 1, 1959, which was the same month as Flash #107 that features the story “The Amazing Race Against Time!” The story introduces the character Kyri, a hominoid created by an alien race to patch a dimensional weak-spot on a distant planet. Time Out was released on September 21, 1959. That same month Flash #108 was released that featured Barry Allen traveling through dimensions to the world of Mohru where the villains there gained super speed by stealing residual energy from items struck by lightning. Both issues feature a two part Gorilla Grodd story. Grodd is still expected to appear this season as soon as they get the special effects done. 1959 was also the year that Flash (vol. 1) debuted. It ran for 246 issues from February/March 1959 until October 1985. It picked up where Flash Comics left off, which is why the series starts with Flash #105. In order to keep Iris from finding out what happened to Mason Bridge, Barry readily reveals his identity as The Flash to Detective Eddie Thawne. After this week’s episode, it is time once again to update the list of everyone who knows Barry’s secret. Want to hear Matthew Peterson and I sit down to discuss this episode in detail? 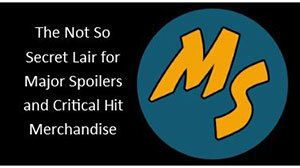 If you are a Major Spoilers VIP, look for theFlashback Podcast hitting the VIP site. Nice, I like these deeper looks into the Flash, one addition/correction though: Hamill actually voiced The joker in both Batman Arkham Asylum (2009) & Batman Arkham City (2011) games too. This was a near-perfect episode. The only thing that bugged me was Barry revealing his identity to Eddie so that there could be yet another needlessly convoluted reason to not tell Iris his identity. I know they want to maintain the secret from her for some big reveal later, but this is getting ridiculous. But that’s pretty minor, because everything else rocked. The Trickster plot was fun and made yet another homage to the 90s tv series. The back story on Thawne was great, as was the investigation into him, and for a moment there early on I thought that out-there Abracadabra theory was actually going to come true. And phasing through that truck? Awesome. But Mark Hamill saying that line.. I was sitting on the couch, mouth hanging open in a silent squeal of nerd glee while my wife, beside me, shook her head in (loving) judgement. The show it´s getting better and better and this easter eggs recaps are great. keep it up! About the list of people who knows Barry’s identity; shouldn’t Diggle’s not wife from the crossover episode be in that list? she saw his face and knows of Cisco and Caitlin. She can figure it out if she wants. On December 17 1979 Stanley Barrett in Budweiser rocket car reaches 1190 km/h (739.666 MPH, record for wheeled vehicle). Just watched this episode last night on Netflix. They did say “trimethylmercury 32” the first time, but they repeated it totally differently: something like “trimethylene chloride” at STAR Labs. As a chemical engineer, this stood out to me in an otherwise exciting episode.